The elite squad known as the Special Victims Unit will live to investigate especially heinous vicious felonies for at least another year. 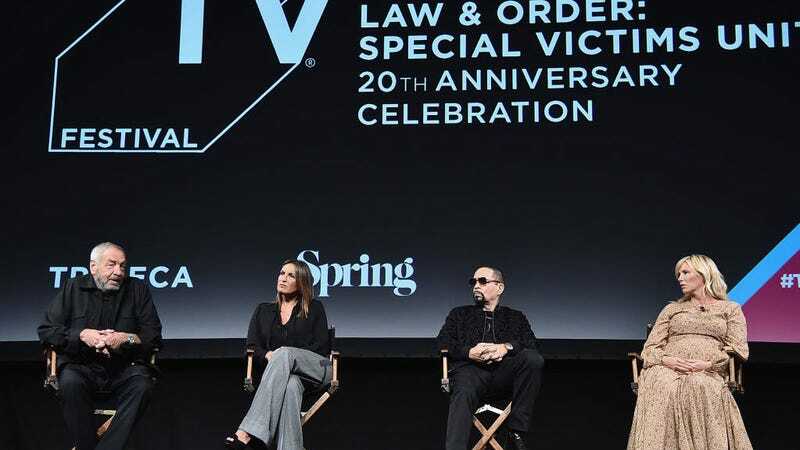 The show will get a record breaking twenty-first season, which makes SVU the longest-running live-action series in television history. Sorry ‘bout it, original Law and Order and Gunsmoke, looks like your paltry little twenty seasons apiece are nothing now. The bad news is that a person called Philip Winchester will be leaving the show. This information means nothing to me because I always end up accidentally rewatching the same 15 episodes from the mid-oughts until I suddenly remember who did it and jump ahead to the next one, repeating this action in a loop until I look at my phone and realize four days have passed. The important thing is that Mariska Hargitay will continue to play Olivia Benson, who at this point I consider a close personal friend. Benson has now become the longest-running woman character in a primetime live-action series. Yet the fact that Hargitay has won just a single Emmy for her performance instead of one for each season and two for the season where she goes undercover in the women’s prison serves as proof that life is as unfair as it is long. Still, it’s pretty wild that SVU will legally be old enough to drink next year. Marathoning Olivia Benson & co. is basically an American pastime at this point, like if baseball were interesting. And with 4.3 million viewers still tuning in every week, could we maybe just keep this going indefinitely?